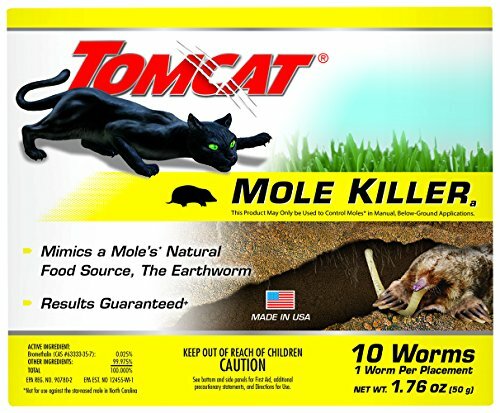 The Tomcat Mole Killer(a) is scientifically designed and tested to mimic a mole’s* natural food source. Moles* may consume a lethal dose in a single feeding, but it may take 2 or more days from the time of bait consumption for moles to die. *Not for use against the star-nosed mole in NC. Not for sale in HI or NY. Scientifically designed and tested to mimic a mole's* natural food source *Not for use against the star-nosed mole in NC. Effective against most common mole* species *Not for use against the star-nosed mole in NC. If you have any questions about this product by Tomcat, contact us by completing and submitting the form below. If you are looking for a specif part number, please include it with your message.